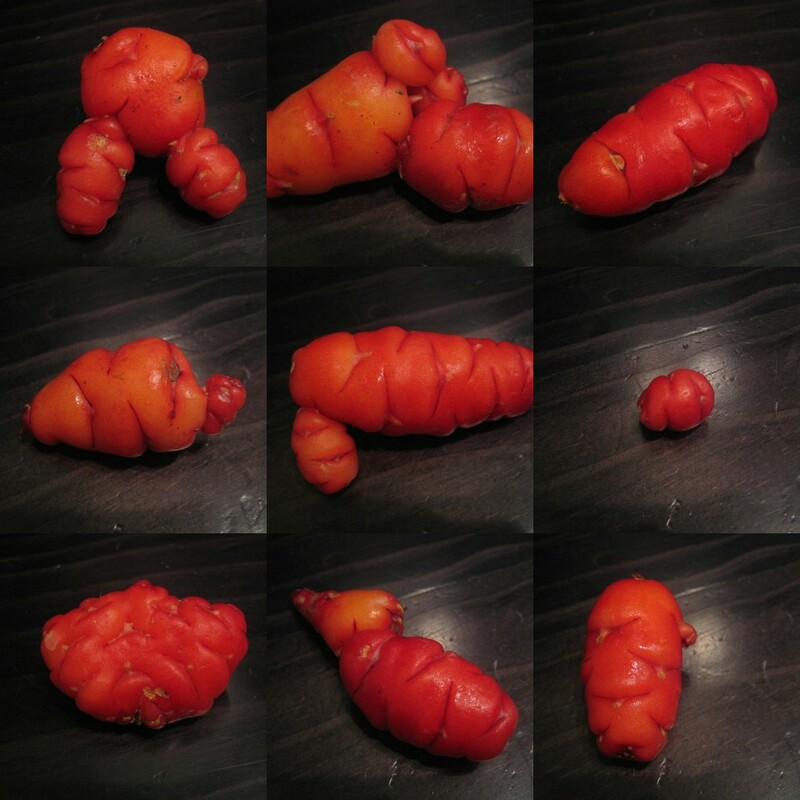 Yams are one of the most Anthropomorphic foods. Don't you think?! 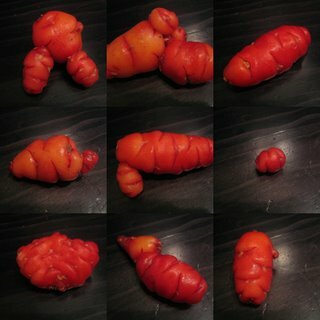 What we, in New Zealand, call yams are not what people in other countries call yams ; they are also known as Oca. They are sweet and starchy and are a great part of a roast dinner. Quite possibly my favourite part along with the potatoes, meat and parsnips of course. When they are roasted they become super soft with a lovely chewy skin. And so easy to prepare : just a brief wash and trim. 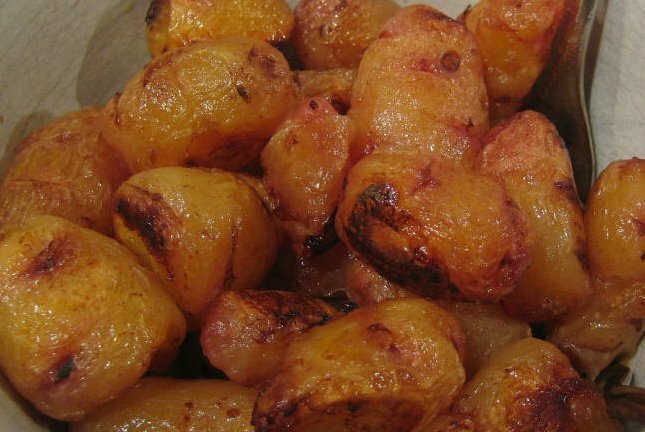 throw them around a roast to become beautifully sticky. roast them with dots of butter, honey and salt and pepper. include them in a slow cooked stew, into which they will dissolve and thicken and sweeten the sauce. A friend told me that if you put a couple of yams in a bucket of soil and leave it until the plants have grown and the leaves have died back you will have a bucket full of yams. How could I resist? I have an eagerly watched bucket on the go now. Just a matter of time! I've never really bothered with yams but after you post I was inspired to throw a few around the roast chicken last night. When my husband saw them on he bench he said "I hate yams" which contrasted with our friend who sat down to dinner last night and said "I love yams".